Compest Solutions is an award winning Software testing company based out of USA which was started in 2005. We provide solutions for industries like Healthcare, Insurance, Manufacturing & many more. Our solutions include performance engineering, consultation services, quality assurance & security services. 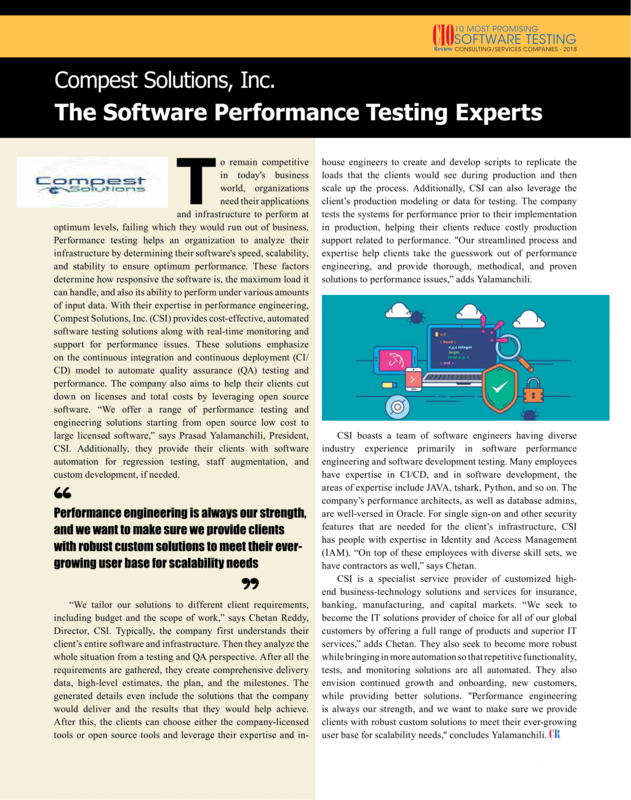 Our technology expertise, continued delivery excellence, and wonderful team has helped us become one of the most promising software test companies last year. We understand our customer’s complex problems and we try to help them using the correct set of tools and our own expertise. Our mission is to help businesses adopt the latest technologies using our solutions. We seek to become a leader in the field of IT solutions globally by offering quality services to our clients. We are confident of our past clients and will make every attempt to make sure that each of our solutions is immensely superior and largely unbeaten. Over the past 13+ years , we have worked with over 100+ companies both from startups to Fortune 500 companies. We’re the leaders when it comes to Performance Engineering. We’ve been awarded and featured multiple times on magazines like CIO. We have been able to help over 50+ companies across 10 industries in building better software through our services in the last 10 years. 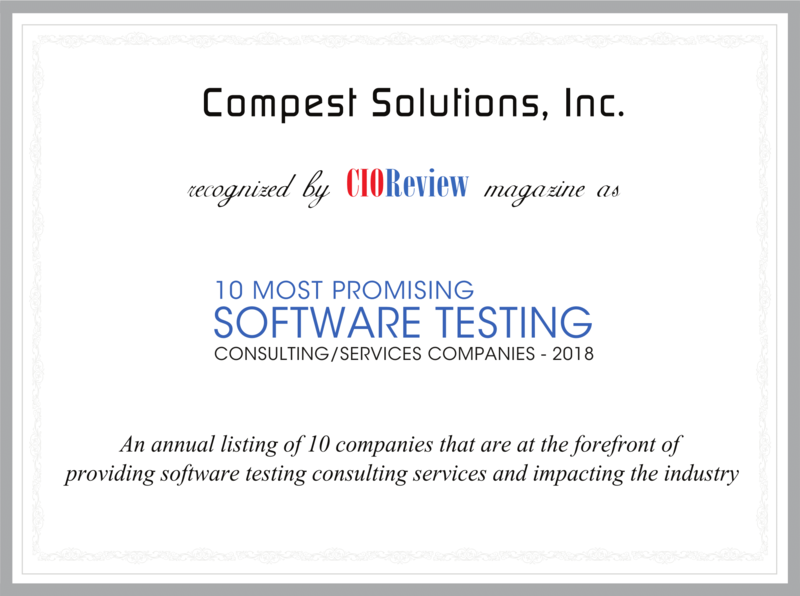 In 2018 we were selected as the Top 10 “most promising Software Testing companies”. Technology is important for any business but at the same time it is quite complex and ever-changing, making it very difficult to manage. We take care of your technology so you can concentrate in managing your business. 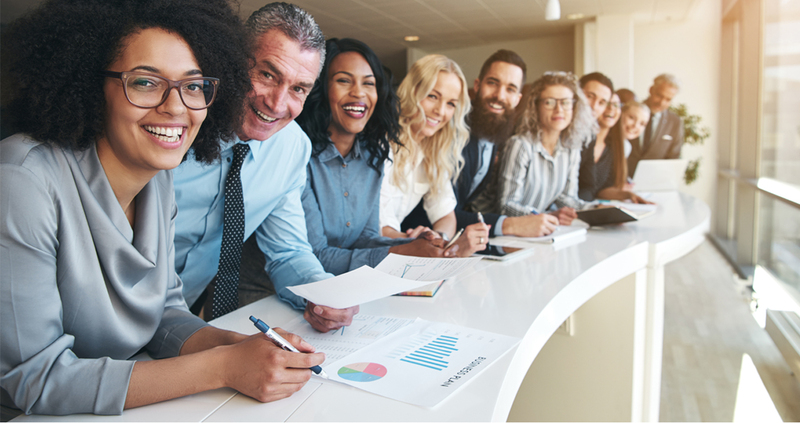 We will honor the golden rule of treating each other as we want to be treated, as it’s foundational to our company’s relationships within and between all our stakeholders. We will inspire and lead each other to greatness and overcome any obstacles that may stand in our way, regardless of role. Our leaders are part of the team, not separate and above. We promise to work and operate with transparency. We understand the importance of accountability. We are highly dedicated to our mission on delivering things which impacts real people through our solutions. We keep the courage of delivering what has been promised by doing everything possible. We value accountability a lot and stick always to our plan and deliver. We have got a great team members who can help us in execution and throw some helpful tips/ideas. We love helping each other if they are stuck with something. In such a complex world, it’s important to be flexible and agile to succeed and accomplish goals. Get Acquainted with the Leaders that Help Clients Achieve Continuous Success in Their IT and Overall Business Operations. Stay in the loop with our latest news, blogs and case studies. 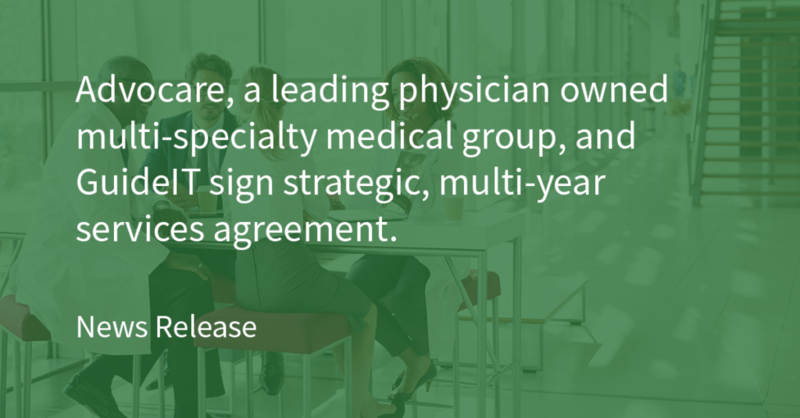 March 11, 2019 – Plano, TX – GuideIT today announced that it has been engaged by a provider of primary and specialty care to assess and strengthen its IT function. In support of its strategic technology objectives, GuideIT will provide a Chief Information Officer to lead its IT function. GuideIT will conduct a comprehensive enterprise IT assessment, including assessments of the IT function’s alignment with and support for the provider’s business strategy; process, procedures and tools; IT organization and personnel; information technology risk and compliance; and a review of active projects. GuideIT began working with the healthcare provider early in 2018, with a focus on clinical consulting, program management and application architecture and testing. GuideIT Management Consulting positions technology to be an efficient, responsive enabler of a business. Through its enterprise assessment, IT strategy and transformation, strategic sourcing and program management practices, customers achieve better alignment of IT to their business strategies, realize the targeted benefits from acquisitions, reduce risk, and increase efficiency. GuideIT provides IT services that make technology contribute to business success. Through its consulting, managed IT, digital business, and cyber security solutions and the way it partners with customers, simplifies the complex, and inspires confidence, GuideIT utilizes technology in an industry context to enable the creation of business value and create an IT experience that delivers. 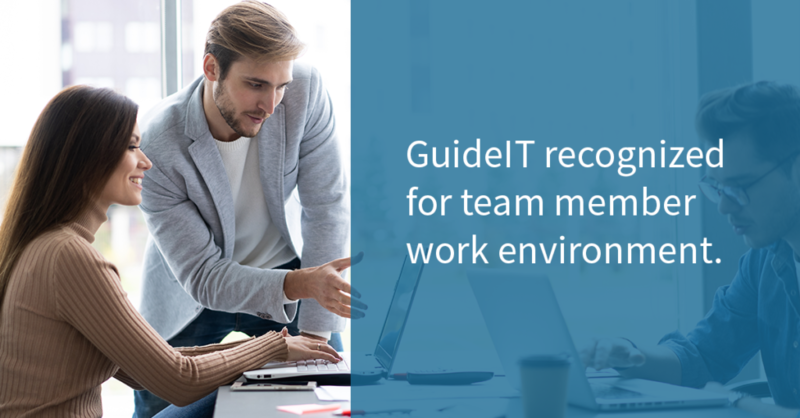 Founded in 2014 and part of a heritage that dates to the industry’s founding, GuideIT has been recognized for its service quality, positive work environment and growth. More information is available at www.guideit.com. March 7, 2019 – Plano, TX – Advocare, LLC a leading physician owned multi-specialty medical group with nearly 600 providers and 200 locations, in New Jersey and Pennsylvania, representing pediatrics, adult primary care, and specialty providers and GuideIT today announced they signed a strategic, multi-year IT services agreement. This agreement represents the next step in Advocare’s strategic IT Transformation Program launched in 2017. Functioning as Advocare's strategic IT partner, GuideIT will provide clinical service desk, technical service desk, and infrastructure support services. GuideIT will continue to manage Advocare’s program to implement a best-in-class Electronic Health Record (EHR) and the supporting organizational transformation initiatives. Guide IT was initially engaged to advise Advocare on its separation from its current IT provider and to support the procurement of a new Electronic Health Record system. 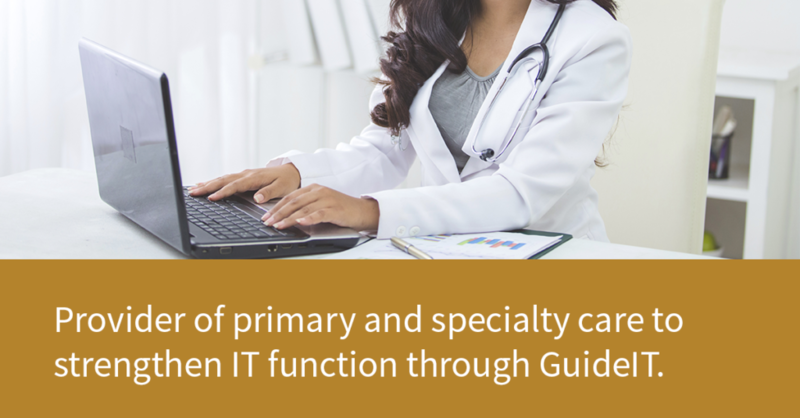 Last year, GuideIT’s services expanded to lead the EHR transformation. This strategic IT Services Agreement represents the next step in the relationship. Through its Healthcare solutions group, GuideIT deploys the technologies that enable healthcare organizations to strengthen business management practices; achieve the clinical outcomes and return on investment expected from technology investments; accelerate the benefits of acquisitions; and realize greater visibility, an accelerated pace of business, and better information flow through a stronger technological foundation and enhanced IT operational expertise and processes. GuideIT provides IT services that make technology contribute to business success. Through its consulting, managed IT, digital business, and cyber security solutions and the way it partners with customers, simplifies the complex, and inspires confidence, GuideIT utilizes technology in an industry context to enable the creation of business value and create an IT experience that delivers. Founded in 2013 and part of a heritage that dates to the industry’s founding, GuideIT has been recognized for its service quality, positive work environment and growth. More information is available at www.guideit.com. 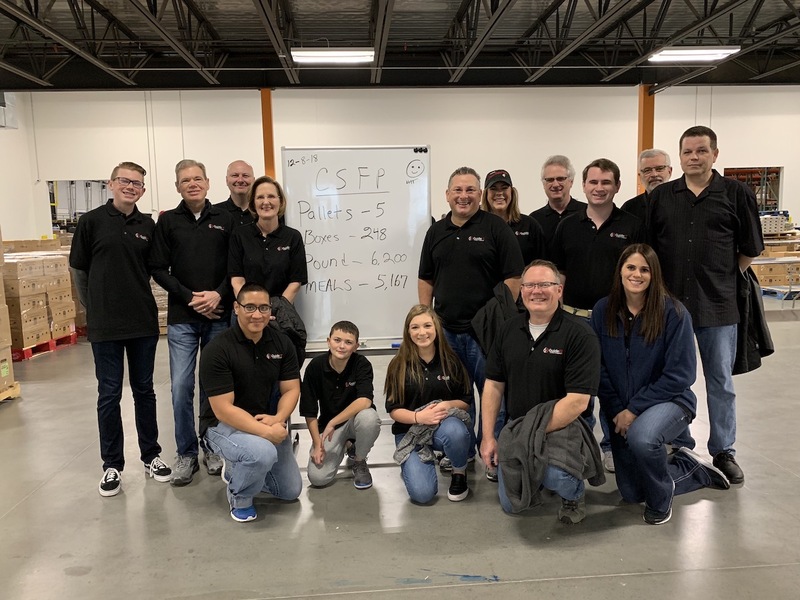 Our company is proud to support the North Texas Food Bank in their mission to close the hunger gap in North Texas by providing access to nutritious food. Founded in 1982, NTFB continues to strive to be the best nonprofit hunger relief organization by providing access to nearly 190,000 meals every day. 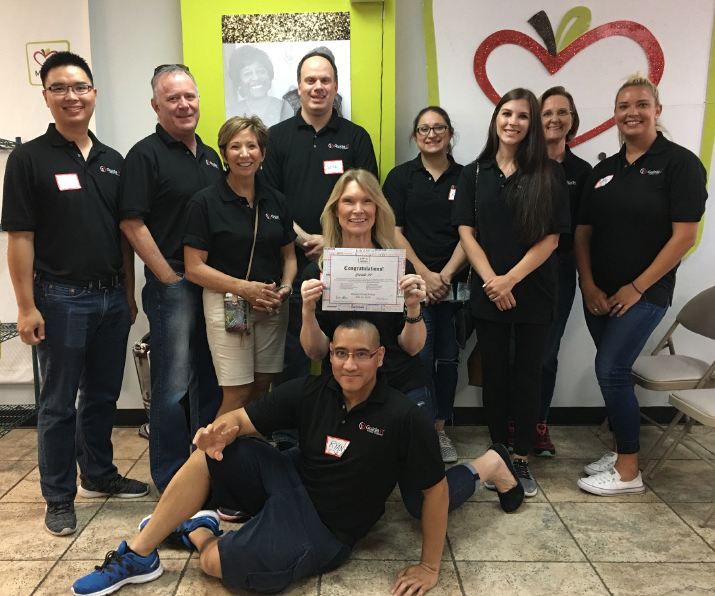 We chose to support Minnie’s Food Pantry on their mission to provide healthy meals and resources to those in need. Founded in 2008, Minnie’s Food Pantry has since distributed over six million meals to families experiencing food-insecurity.